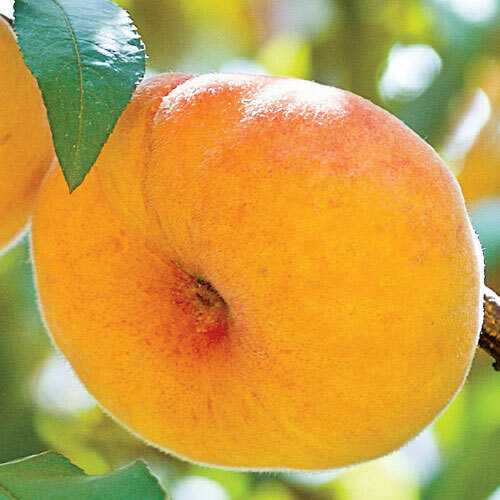 A truly unique peach from Rutgers University. Bloom Time: Mid to late spring. Ripens in summer. 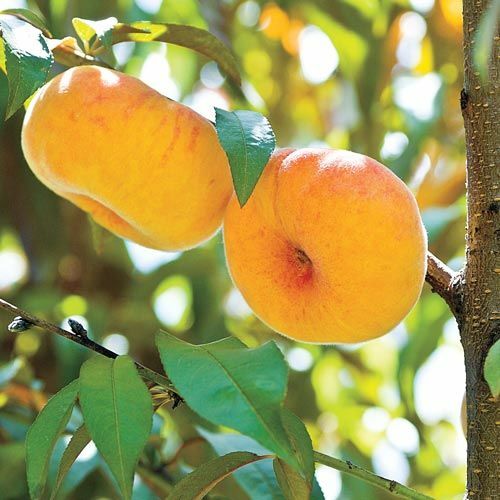 The Flat WonderfulTM Peach tree gives you gorgeous, showy blooms in spring, glossy red foliage in early summer and doughnut-shaped peaches in late July. They taste better than regular peaches. They're sweeter, with an almond overtone. Fruit is super sweet with a soft yet firm flesh- never mushy or bland. Great for fresh eating as well as canning and baking. Self-pollinating. 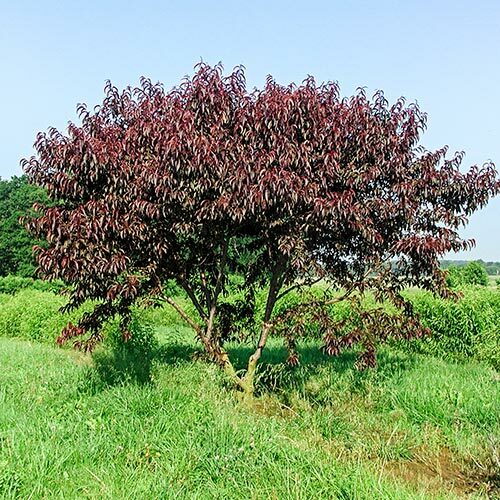 Foliage Type3 - 6" long lanceolate, slightly serrated on the edges, rich burgundy color eventually turns green by midsummer. Bloom TimeMid to late spring. Ripens in summer. Soil RequirementsWell drained, organic enriched sandy loam. Additional InformationEach tree will yield 2 1/2 to 3 bushels of fruit at maturity. Planting InstructionsPlant at the same level as the soil so the crown of the plant is even with the soil level. Don't bury the crown.